Amid advances in physics and climate concerns, nuclear fusion energy has become an increasingly hot pursuit for governments, startups, and skunk works. A long-heralded holy grail of the energy world (it’s said to always be “30 years away”), fusion smashes together atomic nuclei in a controlled fashion and in a way that, theoretically, could provide virtually unlimited “clean” energy. To accelerate its research into plasmas, the ultra-hot gas balls used in fusion, fusion startup TriAlpha has turned to Google. As The Guardian reports, the secretive Paul Allen-backed company collaborated with Google Research to create “the Optometrist algorithm,” which is intended to combine computation with human judgement in the complex search for useful engineering and physics. “The whole thing is beyond what we know how to do even with Google-scale computer resources,” said Ted Baltz, at the Google Accelerated Science Team. So the scientists combined computer learning approaches with human input by presenting researchers with choices. The researchers choose the option they instinctively feel is more promising, akin to choosing the clearer text during an eye test. As a result, operations that had formerly taken a month speeded up to just a few hours, and achieved a 50% reduction in energy losses from the system, according to research published on Tuesday in the journal Scientific Reports. Even as it fires up a new reactor, and though it has raised over $500 million, TriAlpha will need more funds if it wants to reach the even more difficult next stage: a reactor with superconducting magnets. 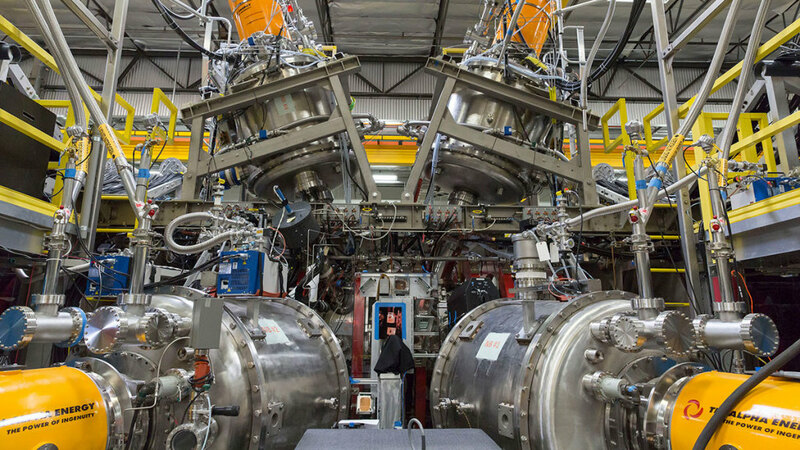 Alongside the multi-government ITER test reactor project in France, the companies racing to develop fusion also include General Fusion, which is backed by Amazon founder Jeff Bezos. As with other billionaire moonshots, the private tech money is betting it can advance science that up until now has been publicly-funded, subject to red tape and political winds. That’s to say nothing of some very big science and engineering. Earlier this month, a new version of a European “road map” on fusion energy pushed its estimate for a working reactor back a decade to the 2050s.